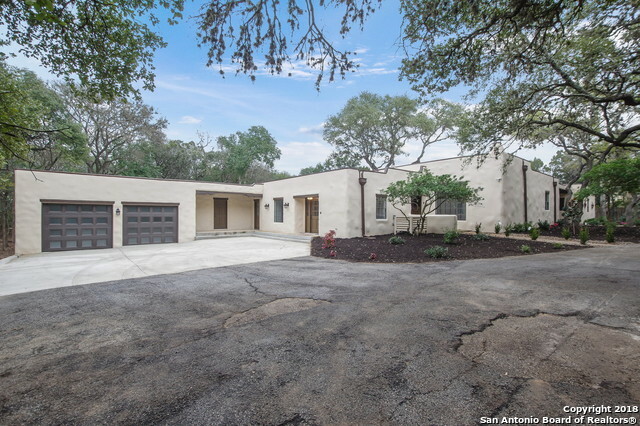 All homes currently listed for sale in the zip code 78232 as of 04/26/2019 are shown below. You can change the search criteria at any time by pressing the 'Change Search' button below. 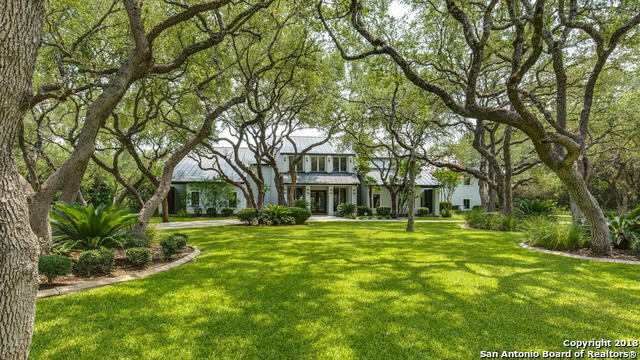 "Exquisite French country estate located on 4.9 acres behind privacy gates. 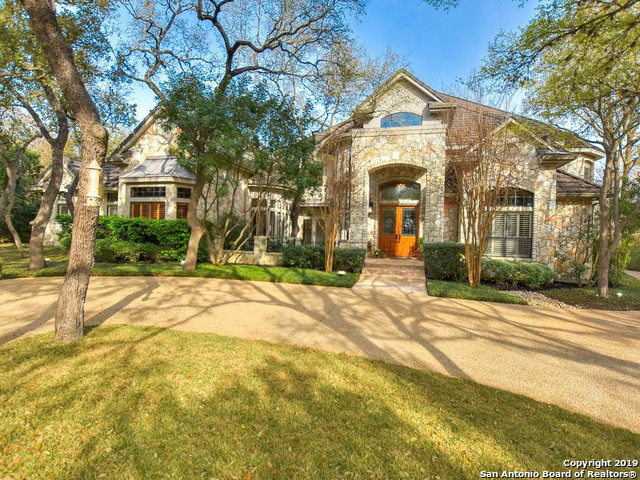 Uncompromised details include hand-scraped wood floors, French Provencial plaster walls, hand-scraped & etched doors, Onken cabinetry, detailed millwork, & custom vent in kitchen. 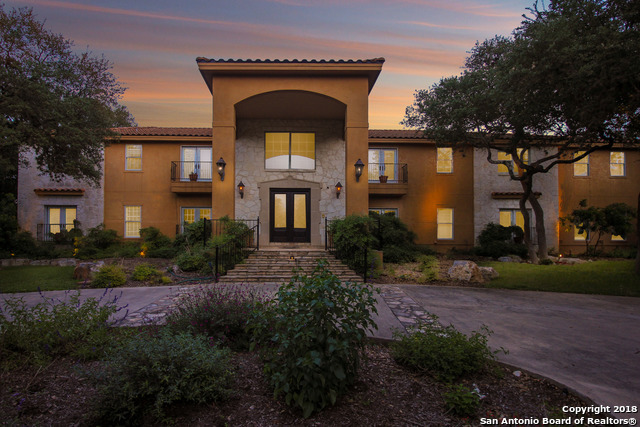 Formal living & dining, large family room w/ beamed ceilings, walls of windows, stunning breakfast room. Private master w/ sauna & exercise. Single-story living. Art studio and full guest house on grounds. 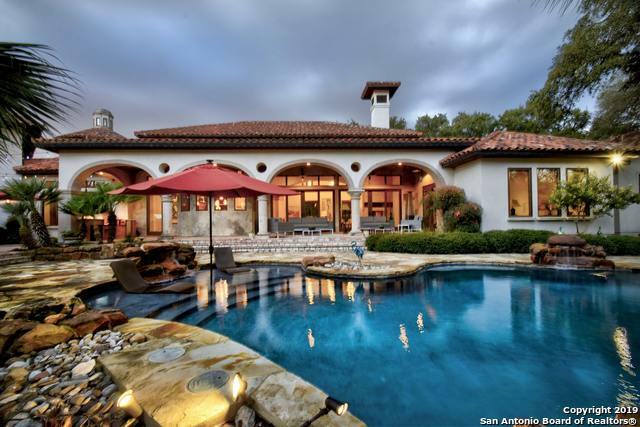 Covered patios and living w/ outdoor k"
"In the highly sought out Hill Country Village this Mediterranean style home sits on a 4.5 acre parcel. 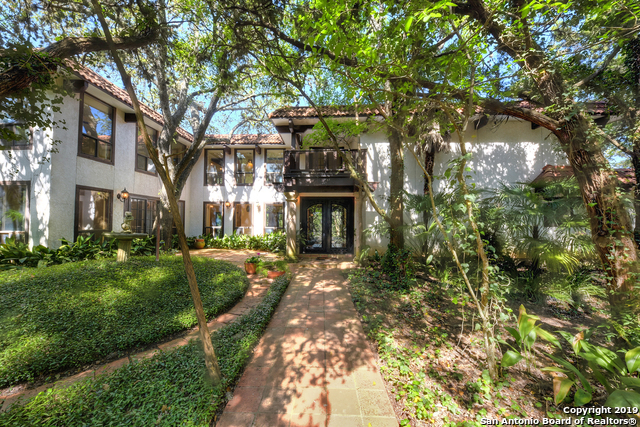 This rare gem of a property features rolling terrain with many mature oaks, a tennis court & pool. The home has plenty of room for entertaining in and out. 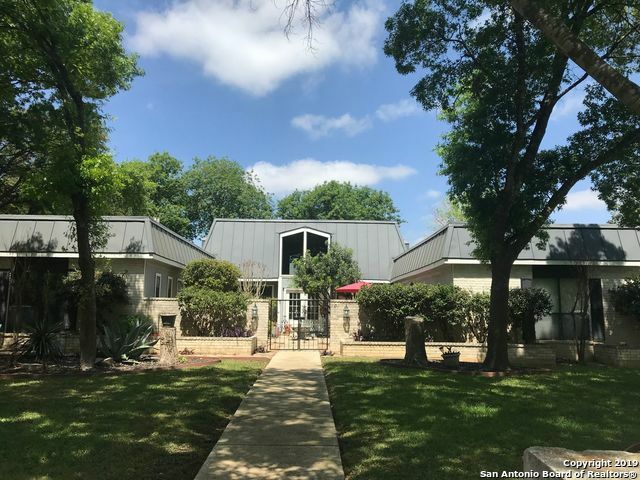 Master bedroom and secondary bdr down and 4 very spacious bedrooms up including game rooms, living rooms, huge balcony, pool room, gym and craft room. Library/Office and Den in Master Wing. Horses allowed acreage in the city." 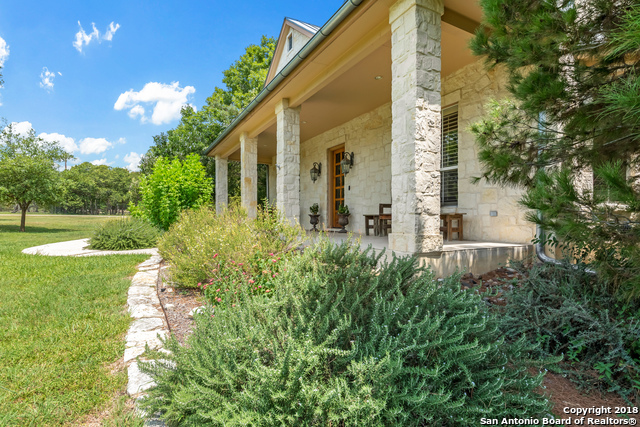 "Impressive and gated, this home on 2.25 +- beautiful acres is surrounded by gorgeous landscaped grounds. Dramatic entry,high ceilings,master bedroom on the first floor, guest suite, wine room, exercise room, study, hair salon, and sauna. Kitchen has granite,gas cooktop,custom cabinets. Master bedroom has outdoor access. Designed for ultimate enjoyment with outdoor kitchen, pool and spa, outdoor sitting area with fireplace, professional batting cage. 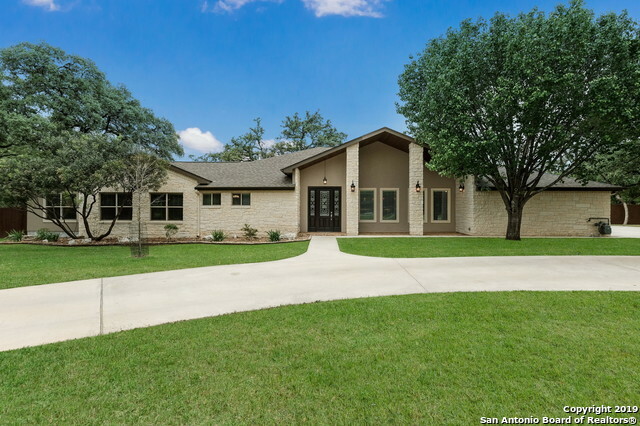 Enjoy starry nights in this secluded, privat"
"HCV is an absolute gem of a neighborhood and one of the only opportunities to own acreage near the airport. But it's rare to find an affordably priced home that doesn't need massive remodeling. But today's your lucky day, slick! This property has been well maintained and cared for years. 2.5 acres. 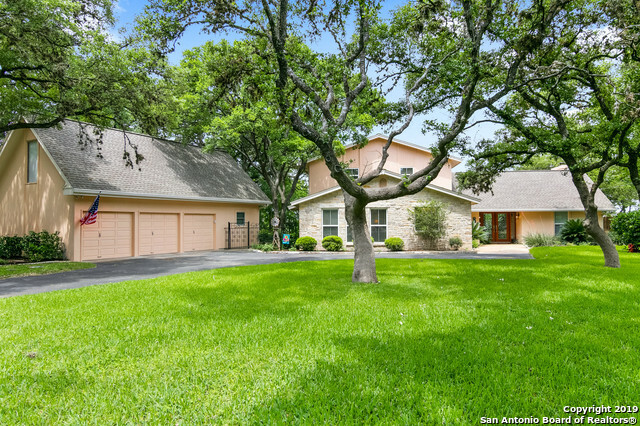 Master and guest BR down, two gamerooms (or a media, playroom, etc), island kitchen with tons of space, large study, pool. Be sure to ask about the secret escape route to 281 (seriously)." 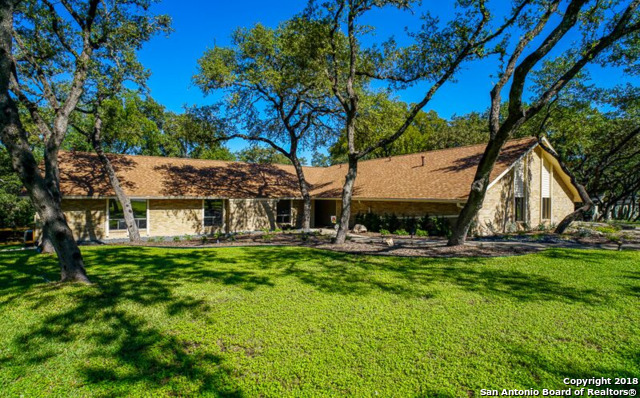 "Private gates welcomes you to this stunning home on 2+ acres of privacy, in a centrally located neighborhood. 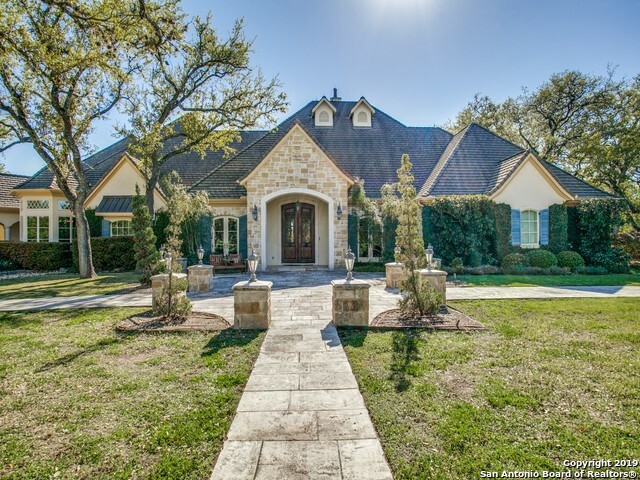 Finest materials and quality craftsmanship are evident throughout this updated home. The entrance leads to a spacious and welcoming living room with fireplace and beamed high ceilings. Open kitchen complete with custom cabinets and professional grade viking appliances. 5BR/4BA. Private master retreat with spa shower, jetted tub and his/her closets." 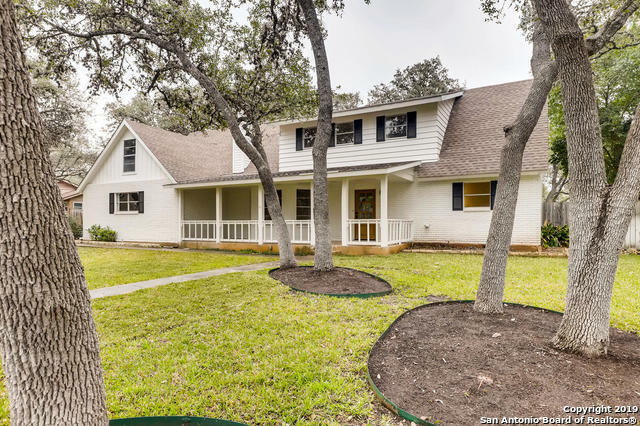 "Remarkable single-story homes in Hill Country Village situated on 2 acres! Showcasing an open floor plan w/ high ceilings and abundant natural light. Two split masters at each end of the home that include outdoor access; one can be used as a game room or mother-in-law suite. The home offers complete functionality throughout with various eating & living areas for entertaining. Vaulted ceilings with a full renovation. 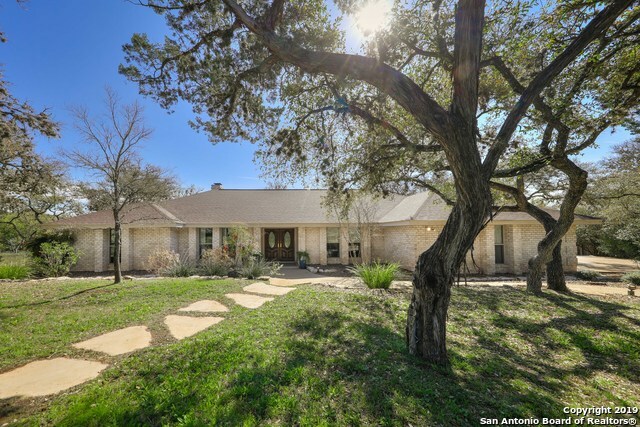 Outdoors, the backyard features a flagstone patio, tree studded lot w/ a natural"
"Secluded Splendor on a grand scale! 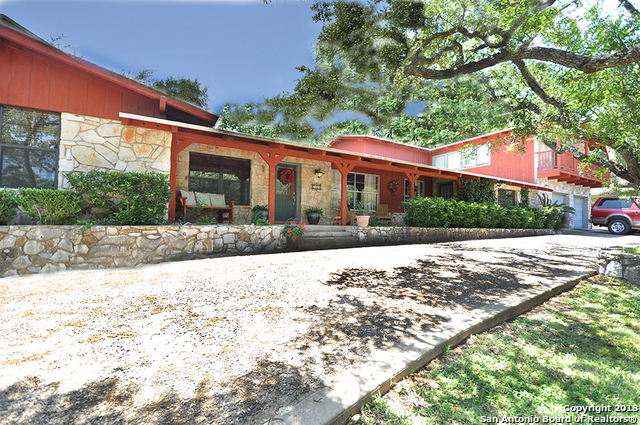 Unique hilltop jewel, set on 2 beautiful lush acres in exclusive Hill Country Village. Leave the city behind while residing in its heart. 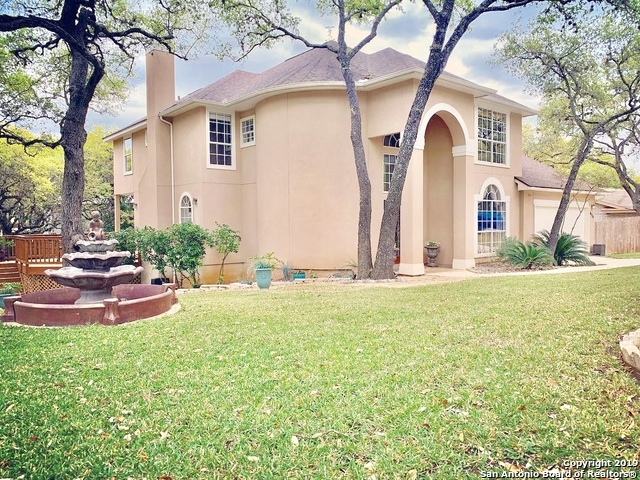 This private estate complete with personal electric gate is fully privacy fenced, generously wooded, and crowned with a palatial Spanish Villa, waiting for you to bring it back to its previous glory or start over with your own creation. Endless possibilities, a rare and enviable find! Tranquility, Convenience and Privacy!" 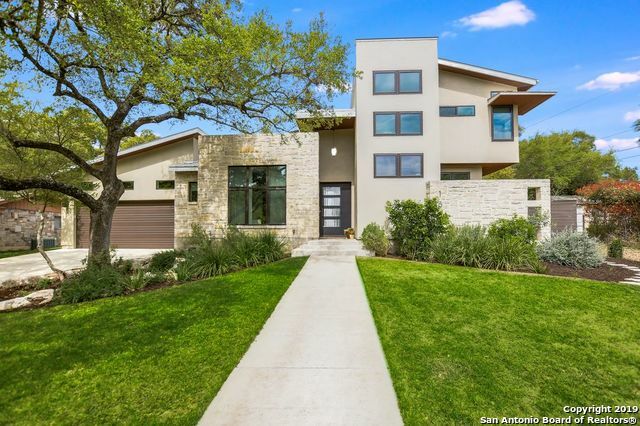 "Stunning contemporary estate features well thought out living spaces w/Zenlike quality&incredible attention to detail.Thisgreenhome includes multiple energy efficiencies built in from the ground up.Exquisitely designed use of living space ideal for social occasions encompasses a thoughtfully planned chef's kitchen. Master suite features spalike master bath w/generous walk-in closet.3 additional treetop level guest suite's. 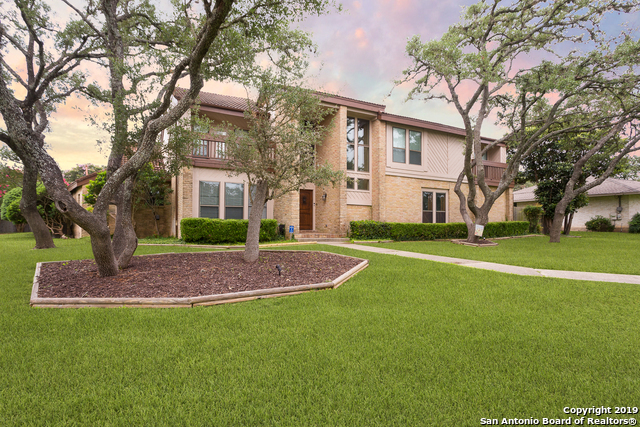 Tranquility is found outdoors w/towering mature oaks offer the perfect ba"
"CORNER LOT,STUCCO,2CAR GARAGE,RAIN GUTTERS,CUSTOM ARCHITECTURE,HIGH CEILINGS,ARCHED WALK-WAYS,ROUNDED CORNERS,CROWN MOLDING,CASED FIREPLACE,BREAKFAST BAR,BEVELED GRANITE,50/50 SINK,STAINLESS STEEL BUILT-IN APPLIANCE PKG,IRON CORBELS,42''-CABINETS,POWERED ISLAND,RECESSED LIGHTING,9FT CIELINGS,VAULTED CIELINGS,ROUNDED STAIR CASE,DOUBLE VANITY,KNEE SPACE,HIS&HER CLOSETS,WATER SOFTNER,FULLY FINISHED GARAGE,IRON FENCE,GARAGE DOOR OPENER,SEASONAL CREEK,LANDSCAPED,CUSTOM DECK,GAME ROOM,"